Join us Friday evening for First Friday in Worthington. Come in and see our Christmas tree and decorations. Real Living HER is at 681 High St. Worthington, Ohio 43085 in the Kilbourne Commercial Building, the oldest commercial building in continual use in Ohio. Real Living HER Worthington opened the new Old Worthington office in August 2011. Real Living HER (formerly HER REALTORS) was open the First Friday in October and the First Friday in November. 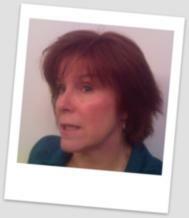 Come by the Real Living HER office for Christmas music on Friday evening December 2, 2011. First Friday is an opportunity to eat, shop and have fun in Worthington's historic downtown. The tree on the Village Green will be lit. The Worthington.org site says of Worthington First Friday: "Visit Downtown Worthington the First Friday of every month for a special shopping and dining experience. Shops will be open late and there will be specials, arts and entertainment to greet visitors ." "First Friday will take place the first Friday of each month from 6-9 pm. Our specialty shops will lure you with their wide variety of items and our guest artists and musicians will entertain you. Be sure to linger after at our bars and restaurants." Or stop by your friendly neighborhood real estate office. The Olde Worthington Business Association will be putting out luminaries on High Street and New England Avenue. 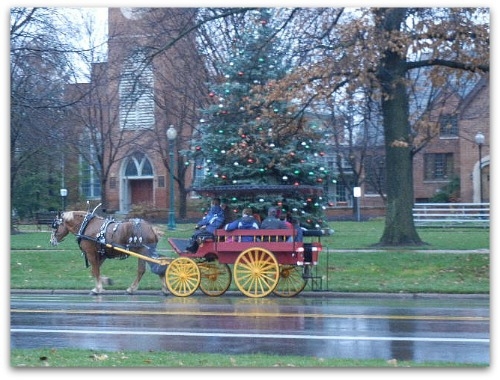 There will be carriage rides for the December 2011 Worthington First Friday! The Olde Worthington Business Association says "There will be donations of cash and canned food accepted for the Worthington Food Pantry.